Exports will continue on standard terms. Ukrainian exporters within ten days of the new year fully used up the annual quota for the exports of honey and juices to the European Union, first deputy agrarian minister, Maksym Martynyuk, said on Facebook on Friday, 12 January. "By 11 January, 100% of the export quota for the supply of honey to the EU has been used up, even given that the EU has increased quotas last year... Also, over the first ten days of the year, the quota for the export of grape and apple juice (14,000 tons) and a significant part (up to 25%) of quotas in the categories of poultry products have been used up," he wrote. Martynyuk explained that exports of these commodities will continue on standard terms. Around 400 thousand Ukrainian beekeepers produce an average of 70 thousand tons of honey a year, which is the highest in Europe. Almost 57 thousand tons or 80% of all Ukrainian honey is exported mainly to the EU, the deputy minister said. Meanwhile, the country's production potential on the basis of honeybearing plants' crops is up to 140 thousand tons of honey a year, twice the current volume. Martynyuk noted that Ukraine has no regulations regarding the quality of honey. 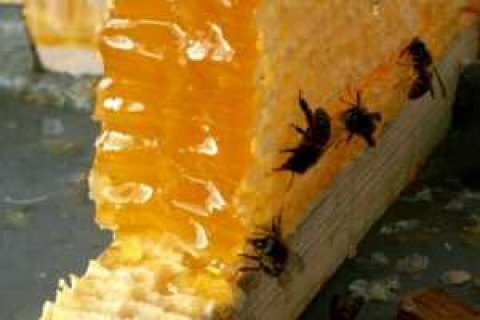 At the same time, Ukraine undertook in the Association Agreement with the EU, to implement until the end of the following the European standards for honey that are laid down in the Council Directive 2001/110/EC. In the summer of 2017 the European Parliament supported the proposal of the European Commission to increase tariff quotas for honey, corn, barley, oats, cereals and processed grains, grape juice from Ukraine. Quotas for duty-free exports of Ukrainian maize thus increased from 400 thousand tons to 1050 thousand tons, barley - from 250 thousand tons to 600 thousand tons, oats – from 4 thousand tons to eight thousand tons, honey – from 5 thousand tons to 8 thousand tons. Duty-free export quotas for cereals and processed grain were increased by 7.8 thousand tons, for grape juice – by 500 tons.